"Financial institutions that offer retail brokerage, wealth management and online trading services for retail investors and financial media companies. Thus, the final user is usually a private investor that wants to receive news, market data, and other information". What do you do for WebFG and what are you responsible for? 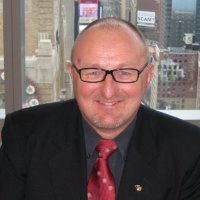 "My role is on global sales, mostly for products based on real-time streaming technologies and for Stingray, which is based on HTML5. I coordinate the rest of the sales team for which concerns these specific segments". 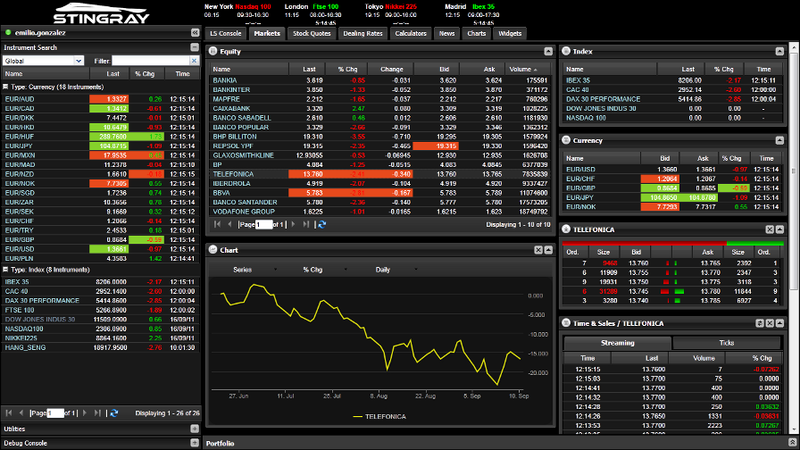 "WebStreamer is a push-platform that integrates our financial market data feeds, with a resilient data warehouse. Webstreamer resides in WebFG's Data Centre so no customer infrastructure is required. It's easy to integrate it within any existing “static” web site, just adding some tags to the HTML code. This way, we can replace solutions based on raw long-polling or inefficient data push with an easy to integrate, rock-solid solution that offers a solid data streaming service backed by WebFG's MFDS (Market & Financial Data Solution), which is a scalable and flexible multi-vendor and multi-asset platform that aggregates many different data sources, including Reuters, Six Telekurs, IDC Comstock and many others. Stingray is a HTML5-based front-end framework to provide both native and third part contents in a fast, efficient, “write once, run everywhere” (that is, one and the same on desktop, tablet, smartphone). Developed with the financial industry in mind, it proved to be absolutely suitable for any other kind of contents. Stingray is widget-based, so that a single framework can host several different feeds contents and application to be distributed in real-time on any platform, and offers intuitive drag and drop features. It can be integrated on existing back-ends or built from scratch with our proprietary data feeds". "We deployed Lightstreamer for market data and news streaming, and for real-time updates of clients’ portfolios". "Besides HTML4 and the latest in HTML5 and responsive design, we also have experience with the older generation technologies such as Java, Flash or dedicated mobile Apps". "We developed native apps for some of our customers back in the days, for wealth management. We are definitely oriented to keep developing HTML5 solutions in the next future, though". "Yes, recently we started using Lightstreamer for bi-directional data push for some of our customers". "We are taking benefit of many Lightstreamer features including data throttling, bandwidth management and smart proxy traversal among the others". "You can visit bolsamania.com and fxmania.com". According to your specific experience, which is the added value of Lightstreamer for your solutions? "Through the integration of Lightstreamer we managed to save resources as it just worked ‘out of the box’, so we can offer an excellent data streaming service at a reasonable price, and increase our margins. Developing a solution from scratch would have been too demanding on time, money and resources, not so effective, and too expensive on maintenance". "We decided to go for Lightstreamer for a quite simple cost/opportunity evaluation. Four years ago our tech folks started evaluating and benchmarking Lightstreamer against other solutions extensively, and it proved to be way better on performance, features, and integration. Furthermore, it has been constantly kept up-to-date during the years. Some of the others solutions we tried, both commercial and free, proved to be good enough, but too bulky and complex in terms of architecture. Lightstreamer proved to be efficient and absolutely stable, and we never experienced problems since we adopted it".